The Joint Qualification Board is a new concept to prequalify personnel as ready to fill a key leadership position (KLP) so that when a position is announced for hire or selection, there will be qualified candidates at the ready. Undersecretary of Defense for Acquisition, Technology and Logistics (USD(AT&L)) Frank Kendall identified the chief developmental tester KLP as the first KLP to pilot the Joint Qualification Board process. The purpose of the board is to create a standard of excellence across DOD by identifying individuals who the board will prequalify to occupy highly demanding KLPs when announced. Boards are held annually and will function separately from normal promotion, command or selection boards. 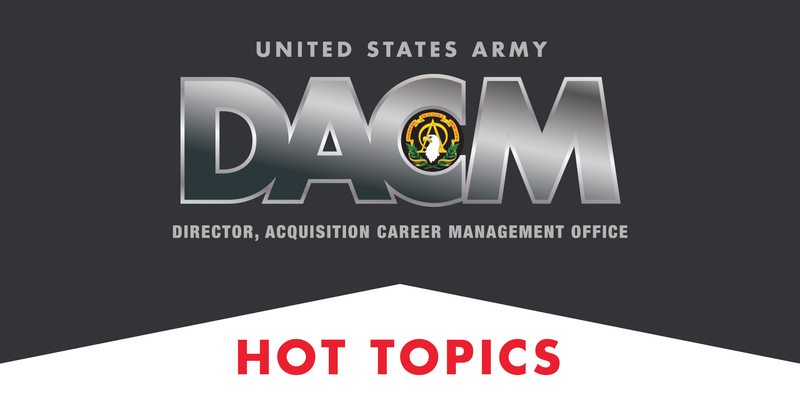 The first-ever Army Acquisition Talent Management (TM) Board of Directors (BOD) convened on Feb. 6, 2015. The DACM, Lt. Gen. Michael E. Williamson presided over the board which consisted of the deputy DACM, all 12 program executive officers (PEOs), and several deputy PEOs. The theme of this initial TM BOD was to socialize new TM initiatives, collect feedback and build a solid forum to discuss key issues in the development of an enterprise level Army acquisition TM program. 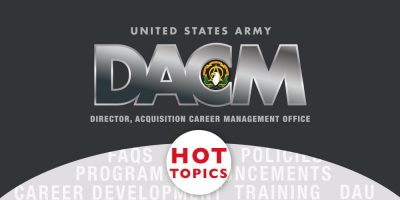 Williamson chaired the event and led discussions centered on such topics as the annual mandate of the senior rater potential evaluation, onboarding, acquisition career models, competency management, project/product director (PD) selection and slating, and civilian post utilization challenges. A major outcome of this initial acquisition TM BOD was the development of the FY15 PD slate. The next TM BOD is tentatively scheduled for August. 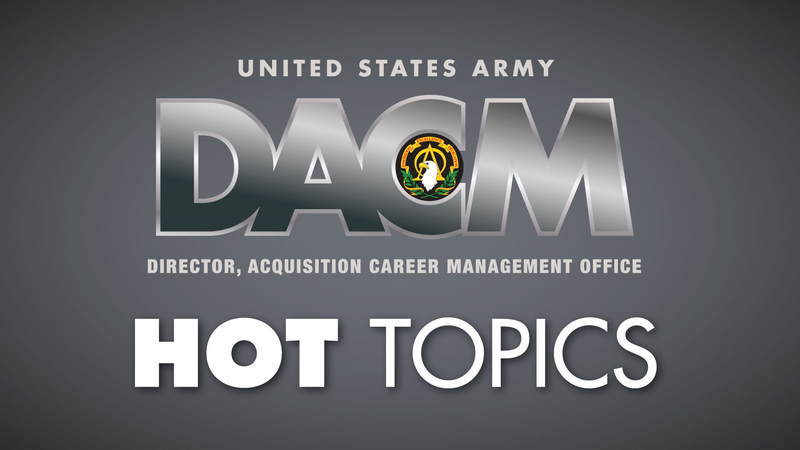 ‘Army DACM Office Hot Topics’ is brought to you by the USAASC Acquisition, Education and Training Branch to help Army acquisition professionals stay on top of career information with timely updates including training opportunities, current program offerings and what’s on the horizon.